Originally established in 1966 as a co-op solely for purchasing grain East Down Farmers Limited is a local business run by local people. Over the years EDF has continued to expand our product offerings and is now one of the leading independent agricultural merchants Northern Ireland or Co Down has to offer. We take pride in the service we offer and know that farming is a complex industry, which is why most of our staff are from farming backgrounds and are trained in AMTRA (animal health) and BASIS (sprays). Members of our Co-op can attest to the advantages of joining, however even non-members can take advantage of most our huge product offering. 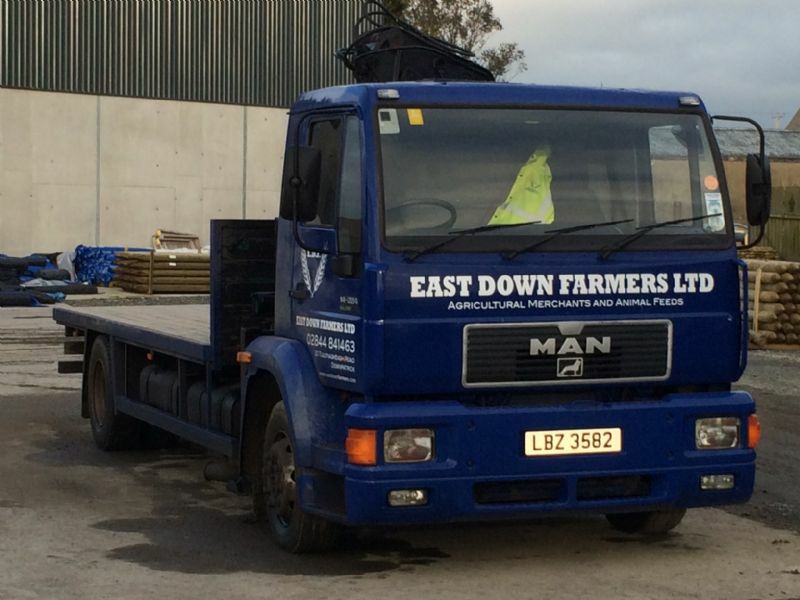 If you wish to contact East Down Farmers then please feel free to reach us by phone on 02844 841463, or alternatively you can email us at info@eastdownfarmers.com. We'll investigate your complaint and send you a full reply within 15 working days. If this isn't possible, we'll let you know why and tell you when you can expect a full response. we only supply veterinary medicines that are authorised in the UK, meaning they're proven to be safe and effective when used as directed. We are approved by the Veterinary Medicines Directorate (VMD) for the retail supply of POM-VPS and NFA-VPS veterinary medicines by a suitably qualified person (SQP). Our premises approval number is: 2028617. You can check our approval on the VMD's website (https://www.vmd.defra.gov.uk/registers/approved-premises.aspx ) or by contacting the VMD directly. Our registered qualified person with responsibility for the supply of veterinary medicines classified as POM-VPS/ NFA-VPS is Chris Carinduff / QR60113. The VMD is the UK government agency responsible for the controls on veterinary medicines in the UK, including their authorisation, manufacture and supply. The Accredited Internet Retailer Scheme (AIRS) In 2012 the VMD set up the Accredited Internet Retailer Scheme (AIRS) in response to the public's concerns about buying veterinary medicines online. Alternatively, the product may include a statement "This veterinary medicine is marketed in accordance with Schedule 6 of the Veterinary Medicines Regulations - Exemptions for small pet animals" or similar on the label and packaging. You can use the VMD's Product Information Database to check if a product is authorised and its classification, or to search for a UK-authorised veterinary medicine. The search facility allows you to search by trade name, active substance, species, legal classification and many other options. Each product has a Summary of Product Characteristics (SPCs) that tells you all about the medicine. 1. Alter a prescription issued by a vet, pharmacist or SQP e.g. 2. Fraudulently produce a prescription e.g. Our RQP carefully checks all prescriptions and will report suspected prescription misuse to the VMD or the police. Please note that the VMD will only consider complaints about veterinary medicines supplied, not about service, delivery, cost or non-medicinal products.